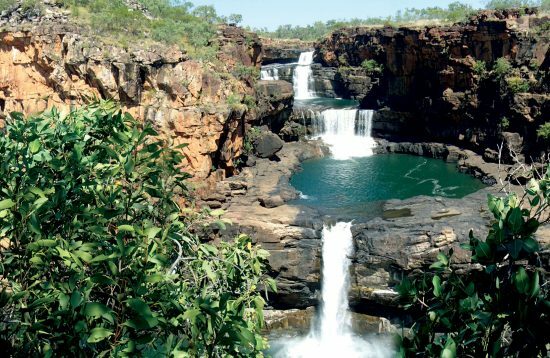 Travel east from Broome for a day, heading into Kimberley cattle country via the Derby Prison Tree and the Gibb River Road. 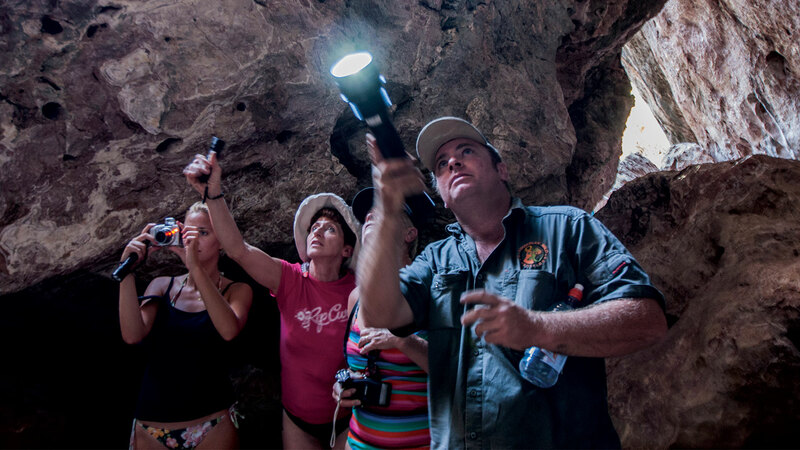 Spend the morning in the outback oasis of Windjana Gorge searching for freshwater crocodiles, local birdlife and indigenous bushtucker, followed by an afternoon exploring the fascinating Tunnel Creek cave system. A swim in the waterhole is a highlight of the day. 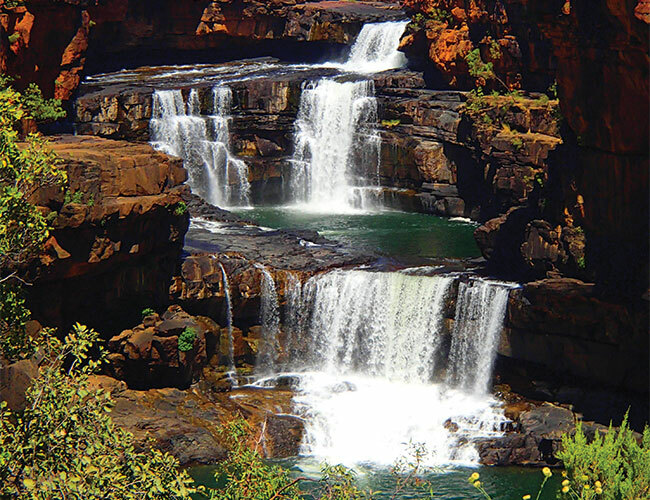 This day trip from Broome offers a delightful glimpse of Australia’s beautiful Kimberley region. 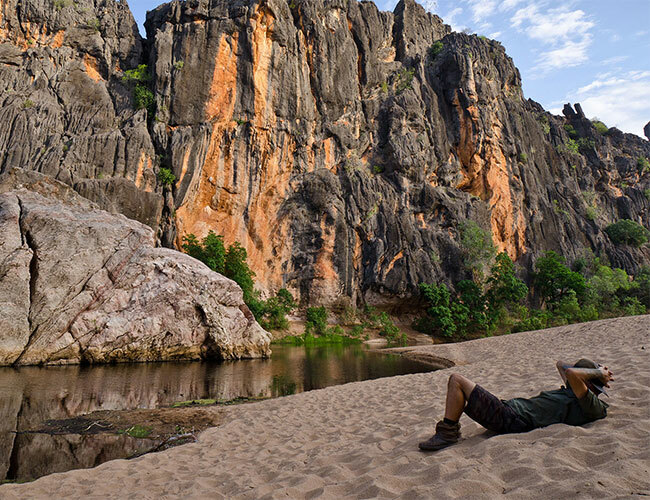 All about the 1 Day Windjana Gorge & Tunnel Creek Adventure. 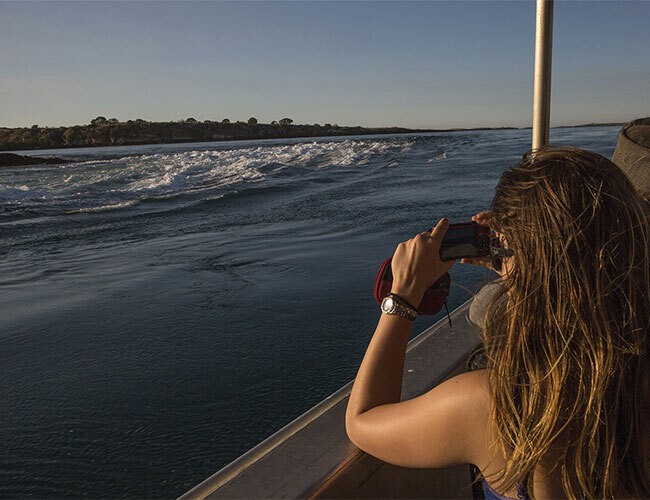 Departing Broome we travel through a remote and beautiful landscape, while our guide shares stories of local history, people and the environment. 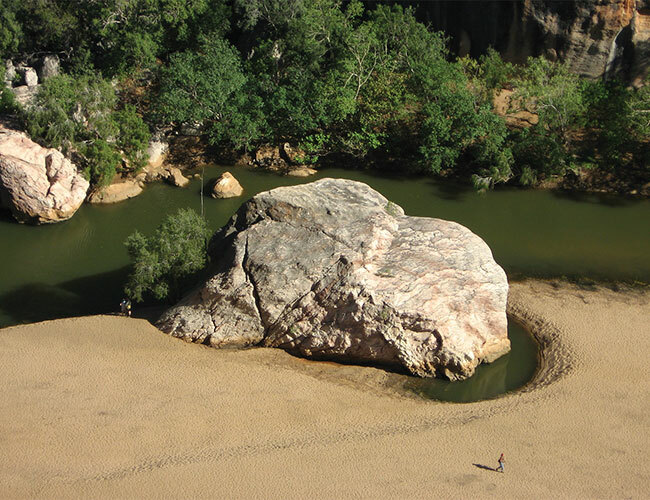 Enjoy a morning tea break at Willare Roadhouse on the mighty Fitzroy River and visit Myalls Bore and the notorious Derby ‘Boab Prison Tree’, a relic of some cultural sensitivity due to its use as a prison for local Aboriginals during the era of Kimberley pioneers. 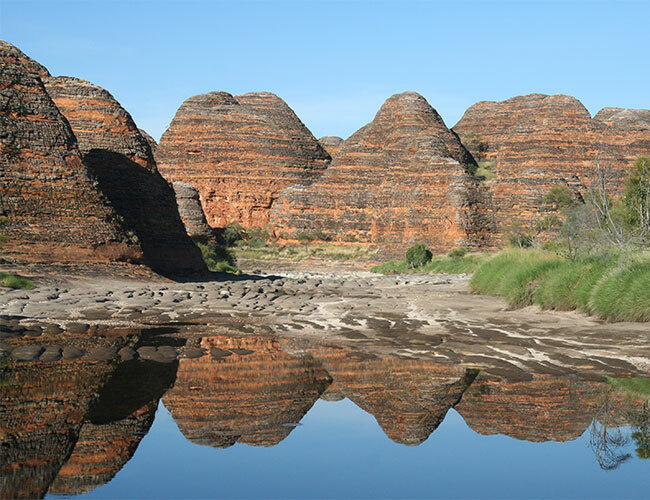 Join the Gibb River Road and travel towards the picturesque Napier Range. Once a Devonian reef, these mountains are over 350 million years old and home to a diverse array of animals and plants. 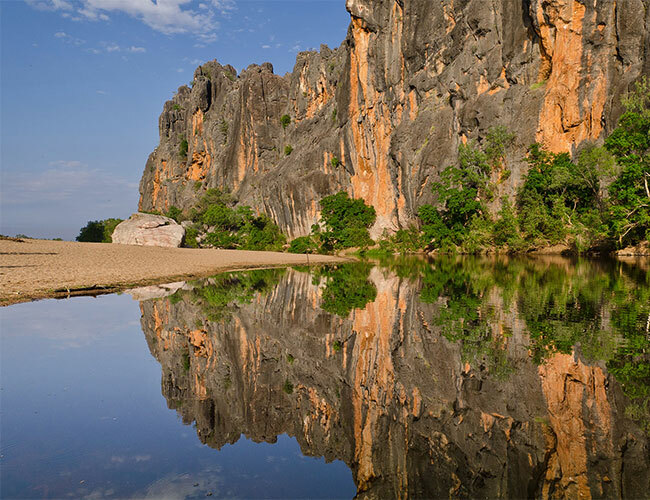 The perfect place to experience the stunning natural beauty of an outback oasis is Windjana Gorge. 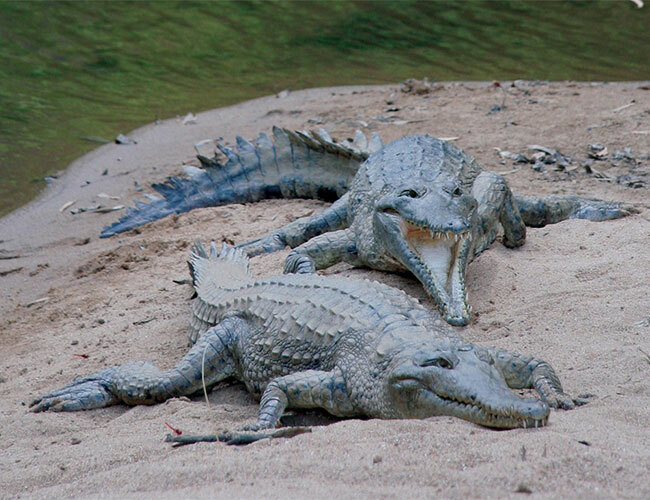 Beneath gorge walls rising 90m, we search for freshwater crocodiles, local birdlife and indigenous bushtucker. 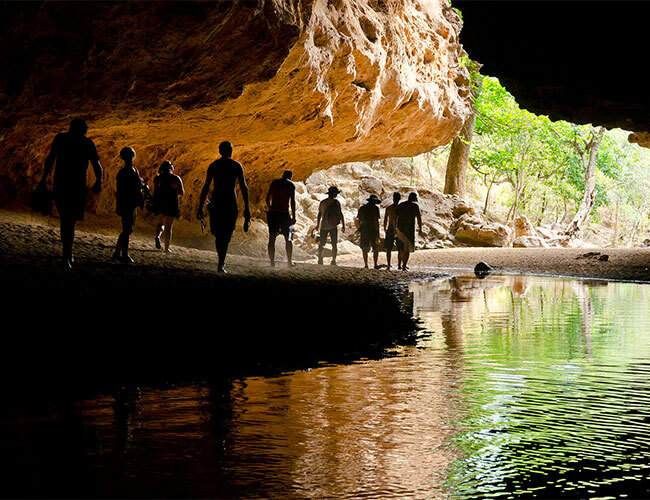 After a picnic lunch, the afternoon is spent exploring Tunnel Creek, a 750-metre cave system in which we discover secret caves and subterranean wildlife. 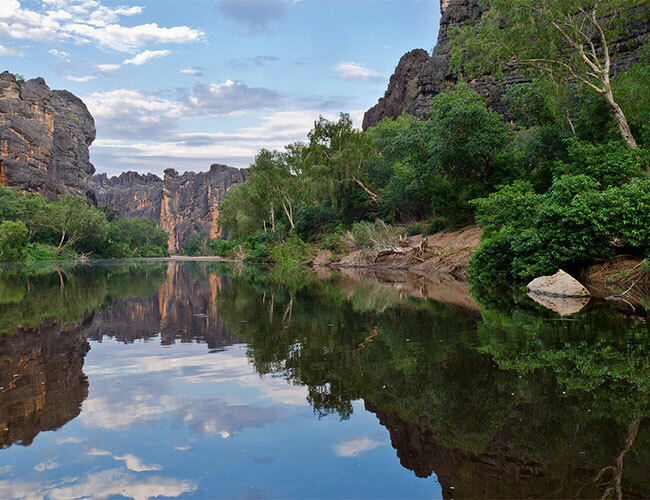 It is here we also learn the legend of Jandamarra, an Aboriginal freedom fighter who used the tunnel as a hide-out in the late 1800’s. A refreshing swim in an idyllic waterhole is a highlight of the day. As sunset approaches, we visit the historical ruins of Lillimooloora Station to appreciate what life would have been like during early white settlement in the area. There is time for an optional dinner (own expense) en route back to Broome. It is essential that you bring shoes you don’t mind getting wet – and we mean fully immersed in water! Ideally, wet shoes, sandals or old runners. Other recommendations include: your swimmers and a towel, a broad-brimmed hat with sun visor (broad brimmed being better for all round protection), personal water bottle, sunscreen and camera. 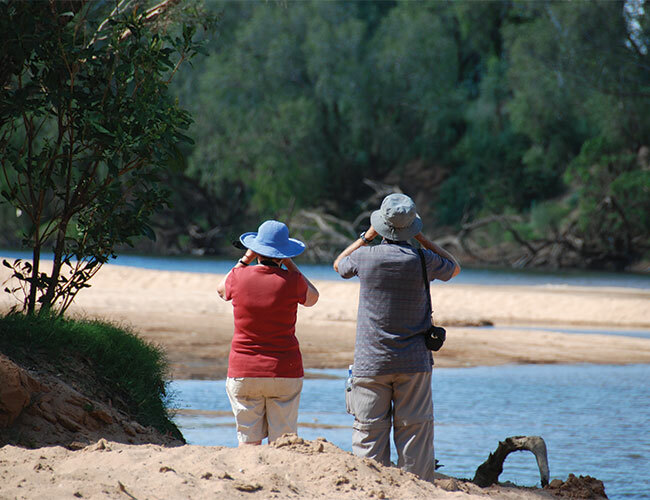 Dinner is not included but can be purchased en route back to Broome – allow approximately $30pp.